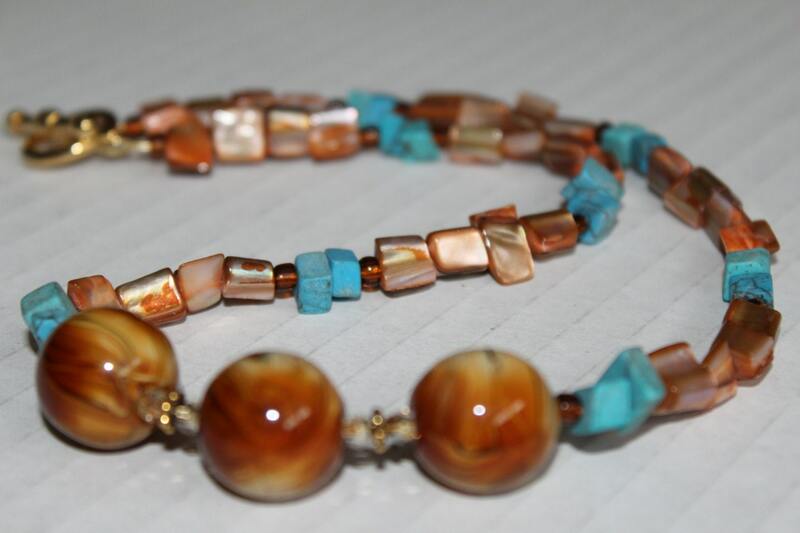 A beautiful brown and turquoise blue, beaded necklace...Natural, with a little pop of color throughout, perfect for that person who loves to wear earth tones! 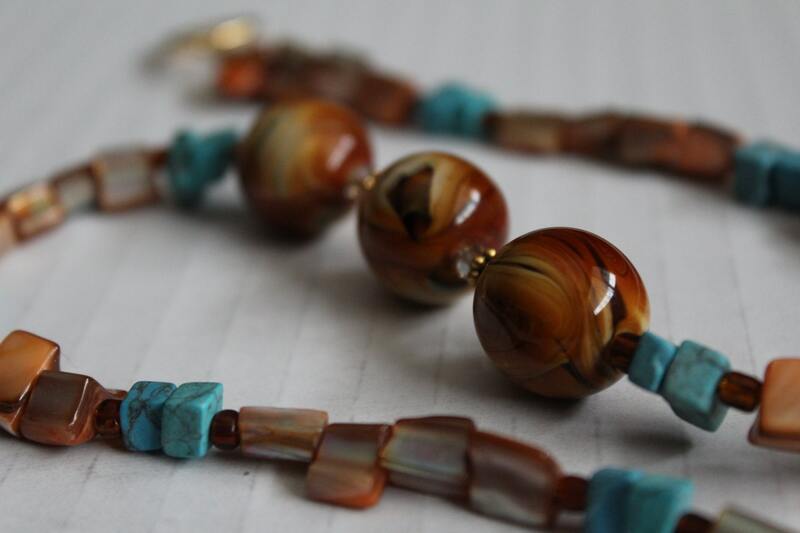 The gorgeously detailed, round focal lampwork beads, measure a generous 16mm in size! Grab it and go, for a stunning southwestern look! 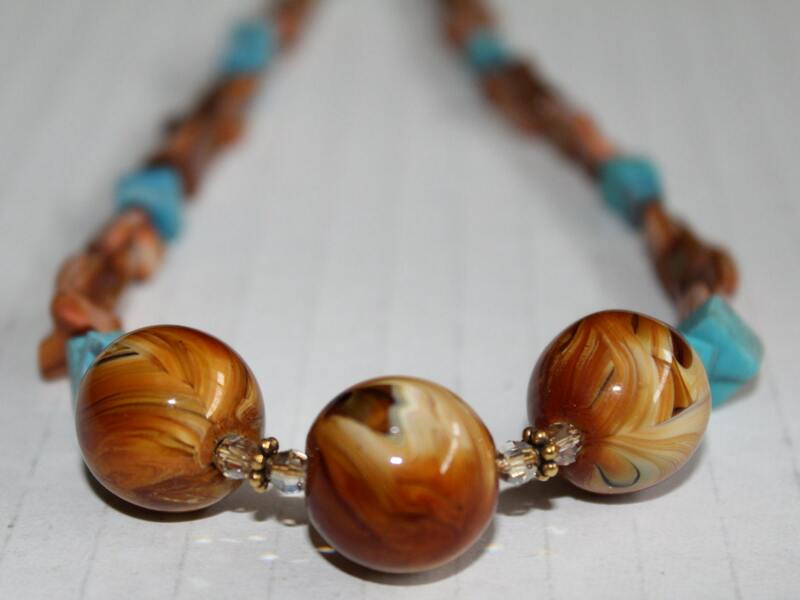 This necklace measures approximately 18.5 inches in length. The gold plated clasp used in this necklace is an easy to put on toggle clasp (16mm).